With a BA in Advertising gained at the University of Brasilia, Antonio started his international career in Boston, just after graduated from The Creative Circus. 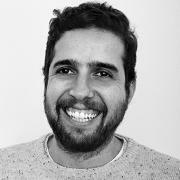 He hold positions from Art Director to Global Creative Director working in 4 different countries: USA, Brazil, Vietnam and Singapore; and some amazing agencies. He has considered himself lucky for being able to work for brands like: VW, Porsche, GSK, Google, Coca-Cola, Toyota, Harley-Davidson, Unilever, Absolut Vodka and many others, creating multi-channel campaigns from Global to Local Markets. His work has generated solid business results, and a high creative standard winning more than 100 industry awards around the globe. First creative hired by the ECD to be his partner and assist in establishing the new team and operations for GSK Creative Unit at Grey Singapore after moving the Panadol Global Account from NYC to Singapore. Antonio is a conceptual thinker with a real passion for the craft, always bringing fresh ideas to the table and inspiring those around him to produce their best possible work. He has held positions from Art Director to Global Creative Director working in USA, Brazil, Vietnam and Singapore for many world-renowned brands such as VW, Porsche, GSK, Google, Coca-Cola, Toyota, Harley Davidson, Unilever, and Absolute Vodka to name just a few. Antonio believes in the power of people and that ideas, together with constant innovation and technology have the ability to move brands, influence people’s behaviors and create a better, more sustainable world for everyone.